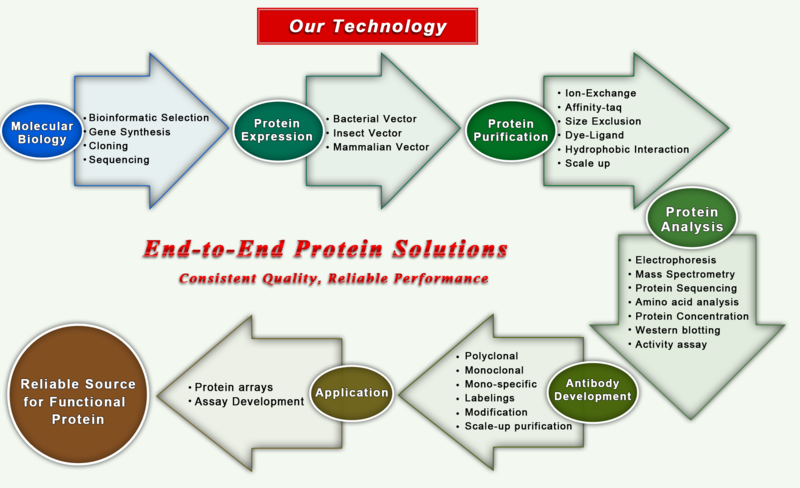 Our protein services are designed to address the time-consuming and laborious production of functional proteins and to simplify the process of creating recombinant proteins when seeking solutions for high throughput screening, functional validation, and structural biology studies. While researchers possess a variety of alternatives for the expression of a target protein, challenges concerning protein solubility and functionality still remain. Among these challenges are different promoter strengths, diverse expression hosts, constructs, and culture conditions, all of which play an important role in protein solubility. These factors pose pressure on researchers faced with the task of producing large numbers of diverse proteins. Our services advance your project from gene synthesis to protein expression, refolding, purification, and stable cell line generation. In addition to a wide range of choices in multiple protein expression systems, Bio-Synthesis offers a flexible production scale with a full range of purification options.